ANZSA is pleased to announce that the Lloyd Davis Memorial Prize will be awarded to the best graduate essay presented at the Shakespeare at the Edges conference at the University of Waikato, Hamilton. The prize is a cheque for $500 AUD and mentoring support towards the peer-reviewed publication of the paper, provided by a senior member of ANZSA. 2. You are enrolled as an Honours, Masters or PhD student or its equivalent. If you have submitted your thesis but it has not been examined, you would still be eligible. To enter for the prize you should prepare a version of the paper you are giving, suitable for delivery in 20 minutes (8-10 double spaced pages), complete with endnotes/works cited. The deadline for electronic submission is midnight, 31 October 2016. NB. Your name should be given only in the cover message, not on the paper. 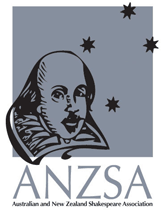 The Bulletin is the newsletter of the Australian and New Zealand Shakespeare Association (ANZSA). The Bulletin is edited by Gayle Allan and David McInnis. For notices to be posted to the Bulletin and Mailing List, email the Editors (bulletin@anzsa.org). To receive notification of Bulletin updates by email, subscribe to the ANZSA mailing list by emailing anzsa-subscribe@anzsa.org and following the instructions. Unless otherwise stated, site content is licensed under a Creative Commons Attribution 3.0 Australia License. Powered by WordPress and the Atahualpa Theme by BytesForAll.